Fraley Cooper Professional Court Reporters has got you covered, including rough drafts! Question: Does Fraley Cooper provide rough drafts of transcripts? Answer: Absolutely, Fraley Cooper provides rough drafts. Question: Is there any charge for the rough draft? Answer: So long as you order the transcript, no, there is no additional charge for the rough draft. Question: When can I get the rough draft? Answer: Pretty much whenever you want the rough draft. That's the bottom-line answer. There is some elaboration needed, however. If you have a half-day job earlier in the day and it's pretty straightforward, it is pretty certain that we can get you the rough draft later on that day. However, If you have testimony that goes on for eight hours, the witness has a thick accent, is testifying about technical matters, wants to talk at the same time others are talking throughout the proceedings, etc., those are the types of things that can exponentially increase the time it takes to produce for you a clean, readable rough draft. Yes, we can produce a rough draft for you in a very short time even with these types of challenges, but the readability of the rough draft will sometimes suffer, and we would much prefer to take a little longer in producing the rough draft to you and have it be cleaner. So, if you can give us until the next day to produce the rough draft, that is always our preference. Another consideration along this line is that a court reporter who has been taking testimony all day long is very tired by the end of the day. The extra time to get the rough draft to you is always appreciated. 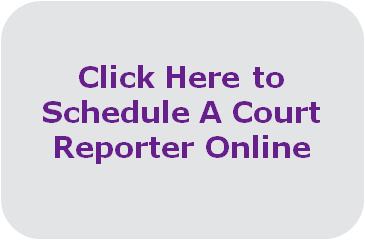 If you must have the rough draft by the end of the day of the proceedings, please let us know that ahead of time and, if necessary, we will switch reporters in the middle of the day to make sure we can accommodate your schedule for the production of the rough draft while, at the same time, not having a reduction in the quality of the rough draft.